Long before we set off for Europe, we needed to drive the RV south before winter set in. After journeying up the atmospheric Oregon coast in the spring and a stop in delightful Portland, what else could the state possibly offer us? From Shakespeare to beer, here are some of the highlights from our second foray through Oregon. State capitols became sightseeing must-sees during our cross-country tour. The architects that designed this one bypassed the more common classical styles and drew inspiration from the Art Deco trend popular in the 1930s. 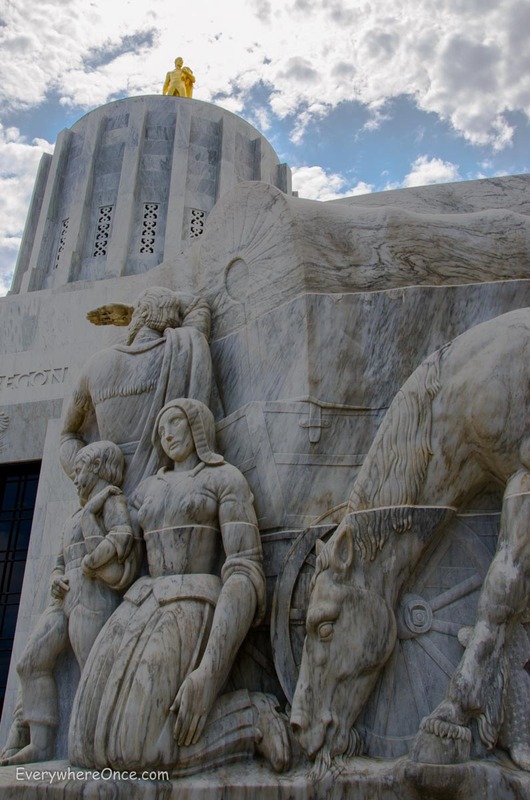 Constructed in 1936—exactly a century after the first wagons rolled along the Oregon Trail—this is state’s third capitol. (The previous two were destroyed by fire.) Topping the building is a gilded sculpture of a pioneer. 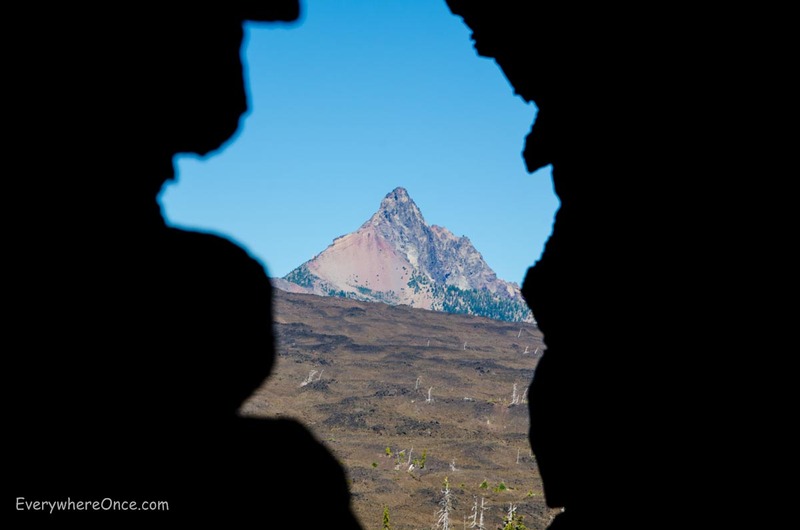 A castle-like structure rises out of the rocky black landscape at the summit of McKenzie Pass in the Cascade Mountains. Built in 1935 with lava from the site, the observatory (named for a Civilian Conservation Corps foreman who worked on it) has open windows strategically placed for optimal viewing of the surrounding peaks, including Sisters, Black Butte, and Mt. Washington. 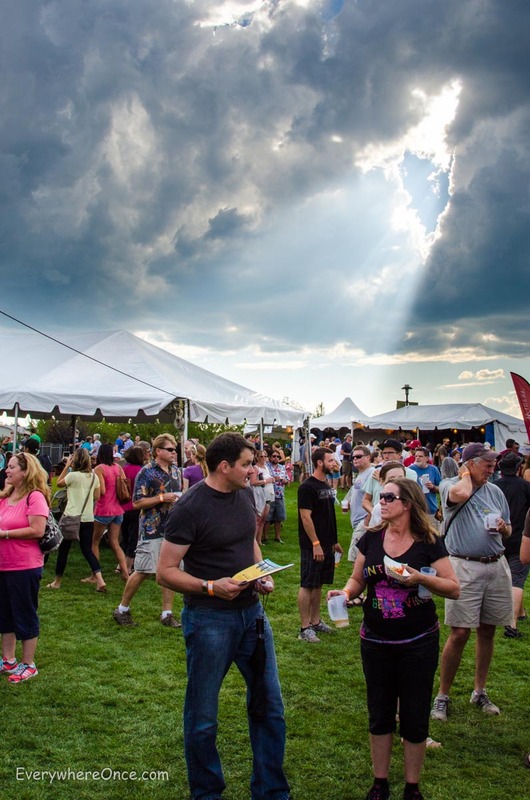 Our timely visit to this town on the Deschutes River coincided with the Bend Brewfest, an annual extravaganza where more than 140 craft beers from 60 plus Pacific Northwest breweries are available for sampling. But even when the Brewfest isn’t on, Bend is a craft beer drinker’s mecca. We especially enjoyed Old Mill Brew Werks, where the food is as good as what’s on tap. Pair a pint with the risotto cakes, which are stuffed with goat cheese and topped with a basil pesto cream sauce and a balsamic reduction. 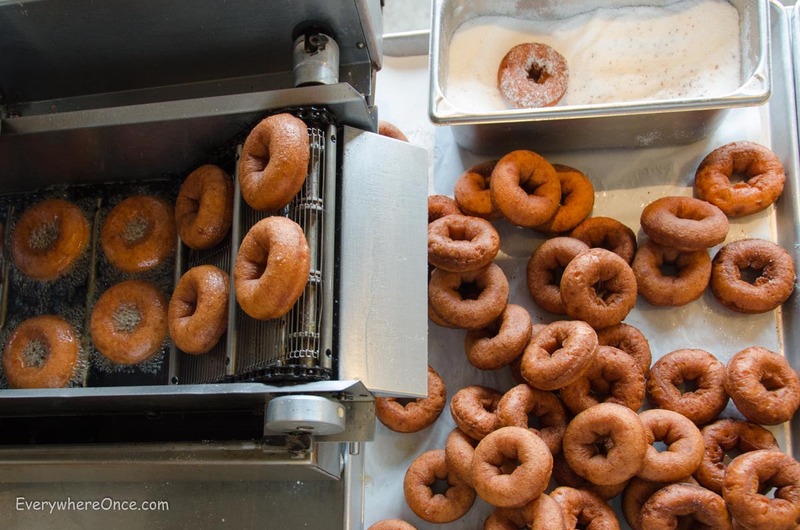 They’re as sinfully good as they sound. The last staging of the Bard’s work we saw, an excellent production of Hamlet in Cedar City, Utah, was difficult to top, but the Ashland Shakespeare Festival’s inventive interpretation of The Taming of the Shrew came close. The romantic comedy was given a vintage rock ‘n roll twist with a seaside Boardwalk as a backdrop. 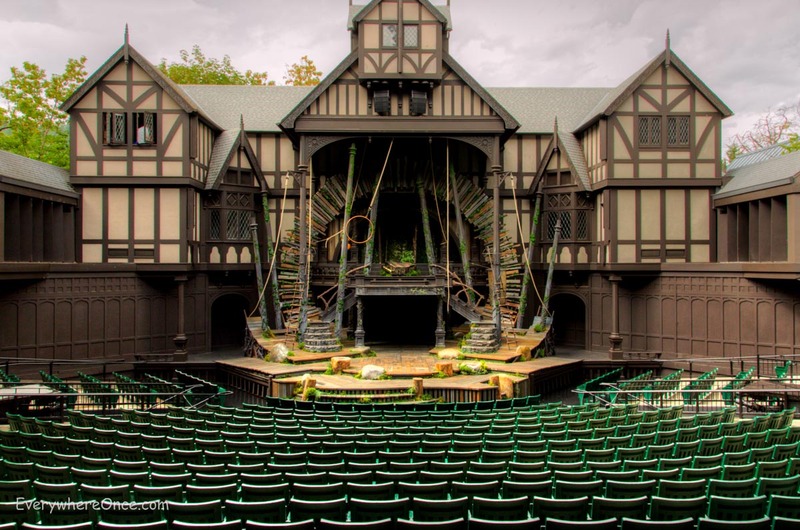 Throughout Ashland there are reminders to whom this literary town pays homage, from an Elizabethan-style theater to light post banners to a British-themed pub. 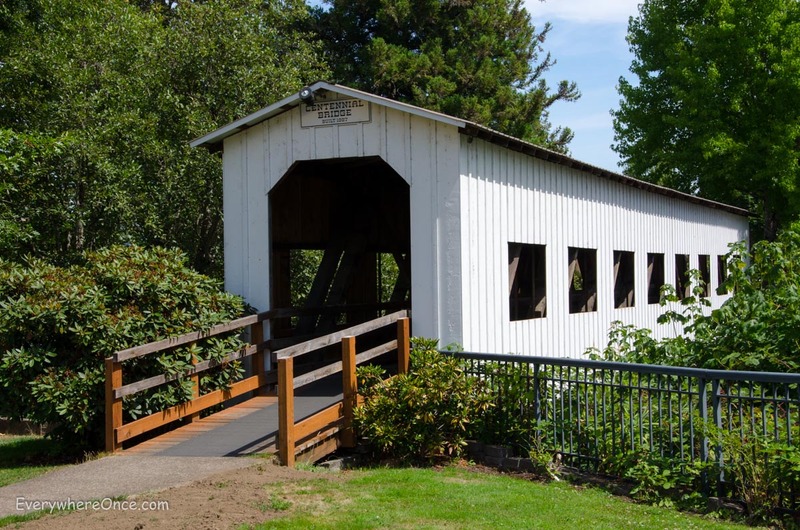 Dubbed the “Covered Bridge Capital of the West,” Cottage Grove has six of the historic thoroughfares in and around town, including Centennial Bridge, front and center just off Main Street. Fascinating, especially the bit about Shakespeare which is one of my passionate interests! Thanks for the photos too! Oregon has a lot to offer! 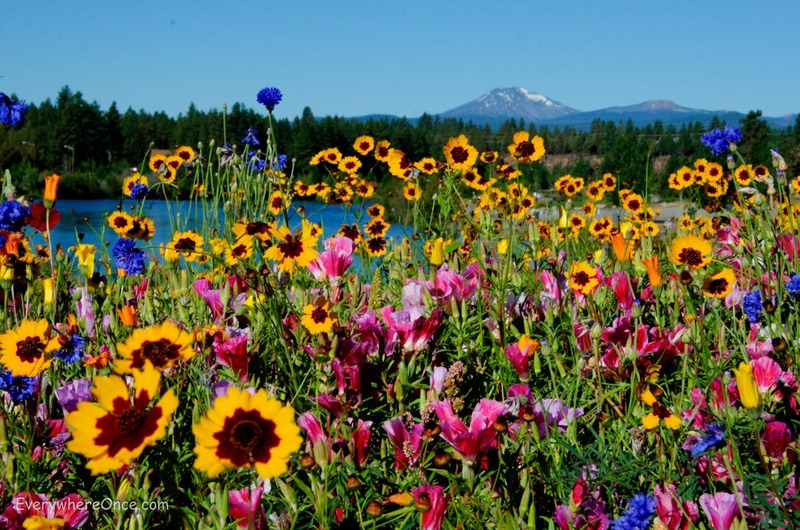 Heart the State of Oregon – Want to Go Back to Explore Some More:) Thanks for sharing – Happy Weekend! Great to see my home state so well represented! And since we’ll be returning there next month after two years abroad, this post has just gotten me all the more excited to head home! Timely visit alright with the brew fest! Couldn’t have times it much better.